Last week, the media was filled with reports that Rosneft had acknowledged wrongdoings by its representative office in the Far East. The management of the Russian oil giant does not usually admit its faults, even though one can find many reasons for repentance in front of the Russian people. Listing all of Igor Sechin (pictured above), Chief Executive Officer & Chairman of the Management Board's failures is like counting all the stars in the sky. But let us analyse the most pressing issues. For instance, how was Rosneft transformed from a potential locomotive of Russia's economic growth into a huge black hole through which money and Russian leadership in the global energy sector flow. Rosneft’s decisions in the mergers and acquisitions market in recent years was reminiscent of bulimia - the company couldn’t stop "overeating" and finally explain why it needed so many assets while retaining an unprecedented level of debt. Many people remember Rosneft's epic acquisition of the TNK-BP holding in 2013, which was considered to be the biggest direct purchase and sale act of the time, amounting to $55 billion. 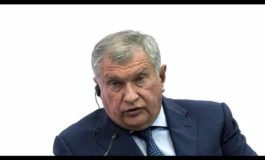 Igor Sechin promised the shareholders a synergetic effect on an additional $10 billion, but it didn’t quite work out - just one and a half years later, in November 2014, all of Rosneft, including TNK-BP, cost less than $50 billion - that is, cheaper than the initial amount of the purchased asset. It would seem, after having been burned once, one should have curbed their appetites, but no. Rosneft continued to aggressively buy new assets. At the end of 2017, Sberbank CIB analysts estimated the volume of subsequent takeovers at more than $22 billion. Having not yet digested the assets of TNK-BP, Rosneft acquired Bashneft, which had previously been seized in favour of the state from AFK Sistema. 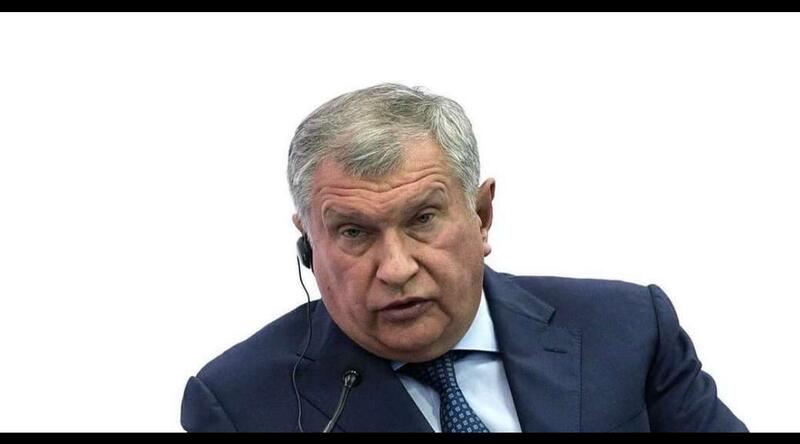 Igor Sechin's greatest success was not attributed to integrating the new asset into Rosneft's structure, but to squeezing out new money from its former owners - for reorganising the business that allegedly caused damage to the company. If one was to carry out a household analogy, then it would sound something like this: a new property buyer would send a claim to the previous owner for changing furniture or wallpaper, which caused irreparable damage to the property. And if Sistema's policies, in Rosneft's opinion, has brought harm to the asset, then its own actions were, of course, only beneficial. In just 2 years, 200 billion rubles was withdrawn from Bashneft to the parent company in the form of dividends and loans. And if within Russia the failures of Rosneft’s leadership can still be counter-balanced by Igor Ivanovich’s administrative leverage, then his managerial genius abroad is manifested in its full radiance. For example, Rosneft paid $13 billion for the Essar oil refining complex in India, which is approximately twice the initial estimate of the plant's value. Rosneft has also invested about $8.5 billion in Venezuela, a country that today competes on equal terms with Somalia in the battle for the title of world centre of anarchy. Currently there is a very real risk of losing everything invested due to the ongoing revolution - “insignificant” problems with late deliveries of prepaid Venezuelan oil may prove to be trivial in the grander scale of things. 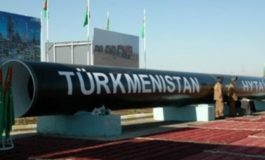 The deep expertise of Igor Sechin in world politics is also confirmed by a story that happened at the end of 2017, when the Russian company paid out an advance of a billion dollars for oil from Kurdistan. Just before the Kurds lost control of the main deposits. For the good of Russia? As a result of such efficient management, the debts of Rosneft (including the advances from the Chinese for future oil supplies) amount to about $72 billion, or almost 5 trillion rubles! To understand the magnitude, this is about a third of all government expenditures for the Russian budget in 2018. Rosneft’s debt exceeds its EBITDA by 2.35 times, which makes the company more burdened by any of the oil and gas majors - global industry leaders such as ExxonMobil, Shell, Total and others. Igor Sechin’s debt is almost 10 times higher than that of another state-owned company, Gazprom Neft, while Lukoil's debt load is 118-fold less than Rosneft's. Russia's largest oil company has become too expensive for the country. The huge benefits of Rosneft allow it to consider itself a “cost price pearl” of production and make plans to bring the unit cost of production for one barrel of crude to the level of Saudi Aramco with the best resource base in the world. The total amount of money not received by the Russian budget due to Rosneft’s privileges on mineral extraction tax and export duties in 2018 alone reached 500 billion rubles. For the largest Russian field - Samotlor - Rosneft has capped individual benefits of 350 billion rubles due to its high water cut. One has to take into account that today all the fields of the largest West Siberian oil province are mostly flooded. Rosneft is all the more needed, because it has “mega” projects. Igor Sechin’s company doesn’t skimp on compliments about its acquired assets: the description of enterprises in India on the company’s website is accompanied by the epithet “first-class”, for some reason it’s clarified that contracts in Venezuela are “legal and valid”. The discovery of the Pobeda field in the Kara Sea - or rather the drilling of one exploration well from the ExxonMobil platform, interrupted by sanctions - is modestly called the main event in the global oil and gas industry in 2014, the emergence of the largest oil and gas province comparable to all Saudi Arabian reserves. The story of the study Khatanga Bay in Taimyr is also indicative. The licensed areas of Rosneft and Lukoil were adjacent to each other. Igor Sechin’s company even motivated its legal claims to Rosnedra by the fact that the entire Khatanga block is essentially a single deposit, which cannot be split between two companies. The court found Rosneft wrong, and Lukoil subsequently declared its site unpromising as a result of drilling a multi-kilometre well and numerous seismic surveys. But Igor Ivanovich would not be himself if he admitted failure. Instead, he proudly shook the core sample at a meeting with Russian President Vladimir Putin, talking about the "oil outflow" and promising the head of state 9.5 billion tons of new oil reserves in the province. True, Rosneft supplied the balance of the State Commission for Reserves with only 81 million tons in the East-Taimyr area, and they, most likely, will remain a line on paper. Once again promising Vladimir Putin butter mountains and wine lakes, Igor Sechin mentioned Taimyr in the context of the “Arctic Cluster”. It will supposedly provide an opportunity to produce oil by 2024, with an increase to 100 million tons by 2030. 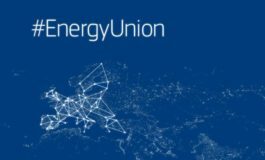 Of course, there is no doubt that this will be the main event in the global energy industry of the next decade. But the situation with actual projects is much worse. The largest greenfield in post-Soviet Russia - the Vankor field - did not reach its original design capacity in the hands of the skilled managers of Rosneft. But even on a reduced production shelf, the project managed to hold out for only 2 years, after which production volumes fell by 15% at once. To top it all off, Igor Sechin agreed to sell half of the asset to the Indians. It is important to note that this was not a promising licensed area, where it is reasonable to share risks among several investors, but a project already launched with the entire infrastructure built. Is this move really "for the good of Russia”? As you can see, Igor Sechin sells as randomly as he buys. At the end of 2016, 19.5% of Rosneft shares — with TNK-BP, Bashneft, foreign assets and Napoleon’s plans — were acquired by a certain “consortium of foreign investors” for only $11.3 billion, that is, the entire company was valued at less than $58 billion. But Rosneft spent over $60 billion for Bashneft and TNK-BP alone. Is this not the most legendary example of creating shareholder value in world history? You can, of course, speculate about the dollar rate and the price of oil in different periods of the transactions, but this will only highlight the questionable ability of Rosneft's managers to choose the right moment. By the way, one of the beneficiaries of the transaction and the owner of Rosneft shares should have been the Chinese company CEFC, but it did not work out. The of CEFC Ye Jianming, a rogue with a hazy biography, was sent in March 2018 to his native Chinese prison, and the already agreed contract was terminated. Since then, no one has heard about Mr. Ye; his accomplice and deputy Ho Chi-Ping was sentenced to 3 years in prison and fined in the United States for bribing the authorities of Chad and Uganda to maintain control over oil projects in these African republics. All this leads to certain thoughts about how and with which partners Igor Sechin conducts his business. As usually happens with Rosneft, it’s not the result of the transaction that is important, but its overhyped presentation. It is unclear how the multimillion army of Rosneft shareholders manages to stand this behaviour. Some of them, for example, Robert Dudley, a member of the board of directors of the company and the head of BP, were able to adapt to Igor Sechin’s business principles. And the rest apparently just did not have time to get passed Rosneft's smoke screen.